Inefficiencies in the workplace are not always easy to spot. 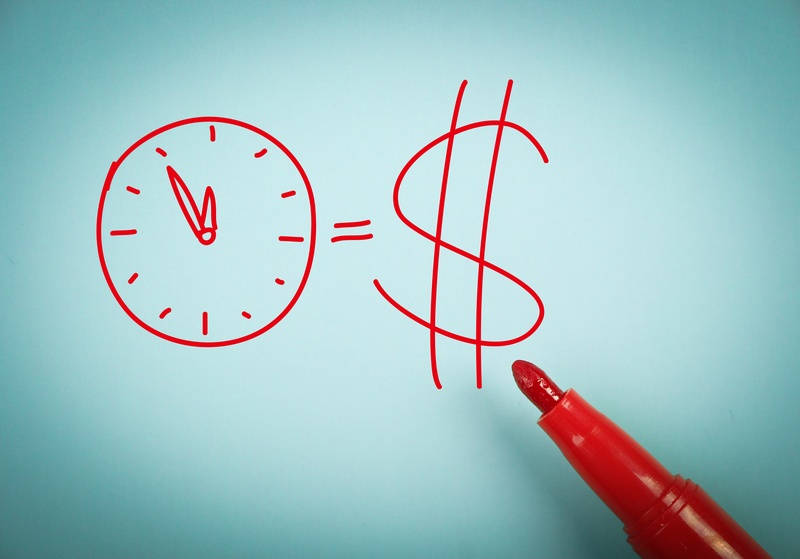 You won't see employees literally setting $100 bills on fire, but inevitably, there will be times during the day when otherwise productive work hours might as well be going up in smoke. And this isn't necessarily due to a lack of work ethic or motivation. At DMR Electronics, a manufacturer of industrial electronic components and wiring harnesses, employees sometimes had no other choice but to waste time standing around while waiting for meetings to get underway. But, it wasn't their fault. Since there was no single time source to rely on, their schedules were easily thrown out of whack. 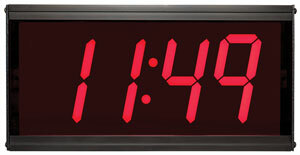 The phenomenon led DMR to research synchronized clock systems, ultimately choosing American Time to bring an added sense of order to its daily operations. Float Euphoria, based in Kennewick, Washington, isn’t your typical spa. They offer a variety of stress-fighting services like massage, cupping, and floatation therapy, a weightless spa experience that feels like you’re floating on top of the water — because you are. In order for client’s to get the most out of their massage and float experiences, things have to happen right on time. Both the massage and flotation services must stick to a strict schedule for cleaning, maintenance, and to keep appointments from running awry. Clock Placement: How High Should I Hang My Wall Clock? If you’re trying to bake a cake, but can’t find the whisk or spatula, and your favorite pan is dirty, baking a cake is going to be pretty difficult. That’s because you don’t have the resources you need when you need them. Trying to check the time without a clock puts you in the same conundrum. No clock, no time. No pan, no cake. So, where do you hang a wall clock so everyone can see it? Is there a certain height you should aim for? Do you hang it 7ft off the floor? Right below the sprinklers? Three feet left of the armoire? 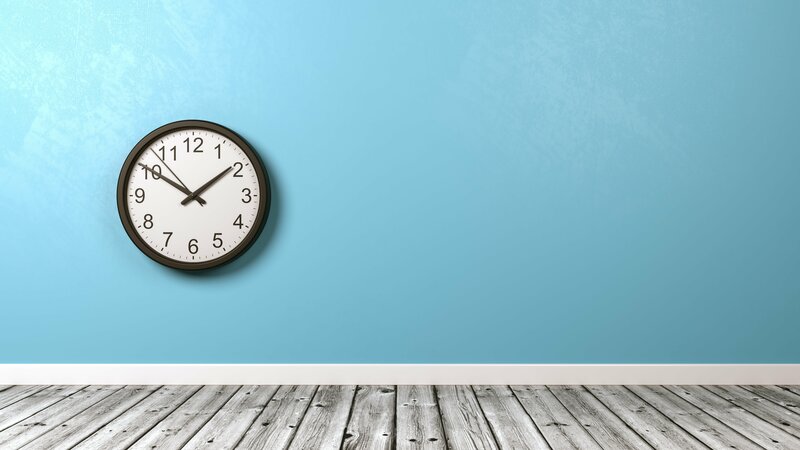 Unfortunately, there’s no one answer on how high you should hang your wall clock, but there are tips to consider for choosing an ideal place. Older technologies may not get people as excited as the new iPhone, but in many cases, they prove their enduring usefulness time and time again. Election officials still depend on paper ballots because it's hard to trust the inner workings of a computer system for a task as important as counting votes. People who conduct a lot of business over the phone prefer a landline because it provides more audio clarity and they know it won't drop their calls. Audiophiles still prefer vinyl records to their digital counterparts because there's just something about that warm, analog sound. While the bugs get worked out in the new devices that dominate our lives, trusty standbys remain at your service. You might think that one casualty of the march of technology would be the humble wall clock, which now competes with the smartphone in everyone's pocket. 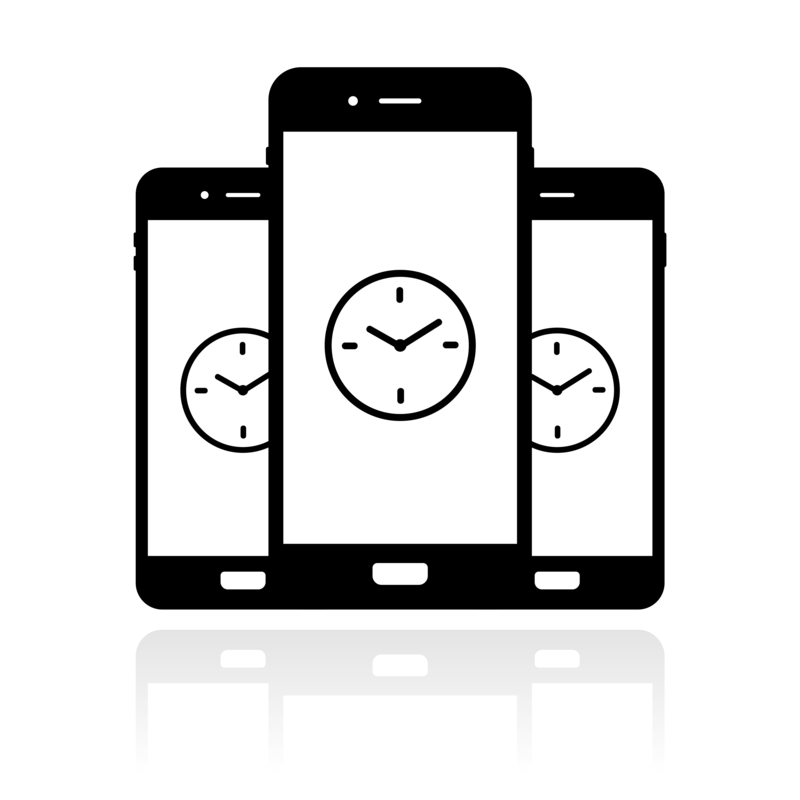 Those phones do a lot, including display the time, but they don't accomplish that task as well as a wall clock connected to a synchronized time system. Despite almost everyone having a clock in their pocket, there are many everyday scenarios that necessitate a wall clock, whether for safety, security or convenience. 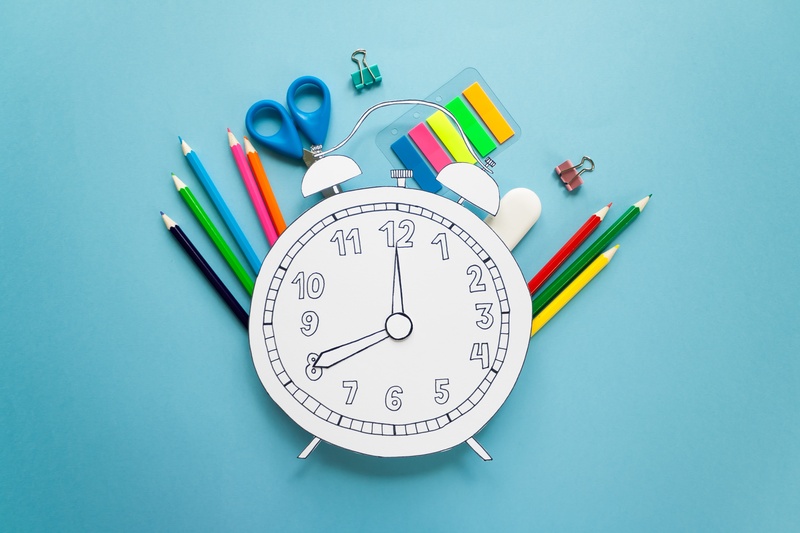 Is Teaching Students to Read Analog Clocks Still Relevant in Schools? Anyone paying attention to changes in schools over the years will notice how evolving technology has altered the ways students learn. For example, iPads have replaced textbooks, digital whiteboards have replaced chalkboards, even the classroom itself has been replaced to a degree, with students able to take classes remotely over the internet. The question begs to be asked. Are analog clocks the next to go? Technology hasn't just changed how we learn; it’s changed what we learn — and the kinds of lessons we value. As digital resources expand, some people question the importance of maintaining the old skills that were once required to survive in the world while others find worth in the mental challenge of doing certain tasks the "hard way." For example, when word processors and computers became mainstream in America, it was debated whether cursive should be part of the curriculum. A similar discussion is now taking place as we consider the increasing prevalence of digital clocks. With digital clocks everywhere, especially on the phones and computers that demand our attention all day, teachers are questioning what used to be a basic part of an elementary curriculum: Just how important is it that students learn to read an analog clock, anyway? Here are arguments on both sides. Distractions are everywhere, whether it's your social media feed, your dog pawing at you for a scratch behind the ear, or a cloud in the sky that looks like ice cream. All these things are wonderful on their own, but when you're trying to get some work done, it's best if you can minimize disruptions. The same is true when your job is to keep your facility on schedule. Critical to this mission is your synchronized time system, which, in very rare cases, can encounter its own kind of distraction — signal interference. 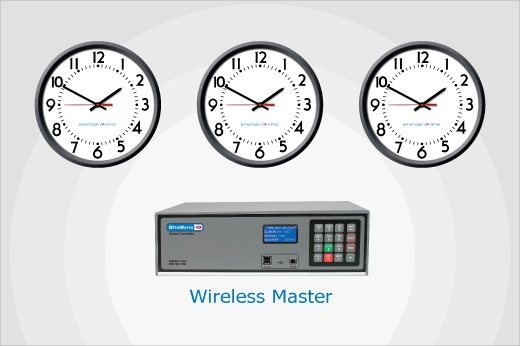 It's a phenomenon you'll want to be aware of if your timekeeping system uses wireless clocks, which stay in sync by receiving a radio signal from a master controller. Here, we'll look at the causes of signal interference and the steps you can take to prevent it or mitigate disruptions. Often in life, your decisions come down to two options. White or wheat toast. Grilled or fried chicken. Take the blue pill or the red pill — any Matrix fans out there? 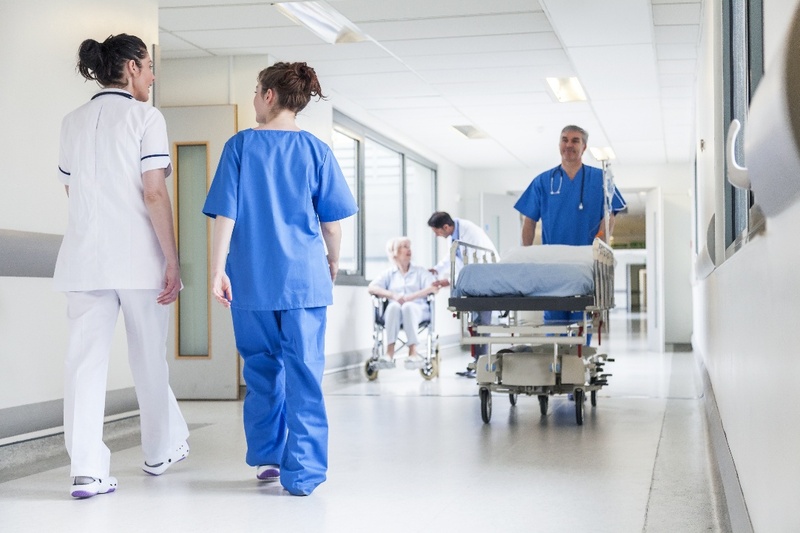 You have a similar choice when choosing the display format for your facility’s synchronized time system — digital or analog. While analog clocks have their place, there are times when digital is clearly the better choice. Here, we'll explore the advantages you'll enjoy with digital clocks and what you'll need to consider. Lost Time Calculator: How Much Time is Saved With Synchronization? How much time do you spend making coffee in the morning, making the bed, brushing your teeth – heck, how about putting on your socks? Wait, don't answer that question; it's best not to think about how many hours of your life are consumed with mundane tasks. The reality is that while we pursue meaningful lives, so much of our days are used up by chores that we would automate if we could, freeing up more time for the things we actually care about. This translates to work, too. 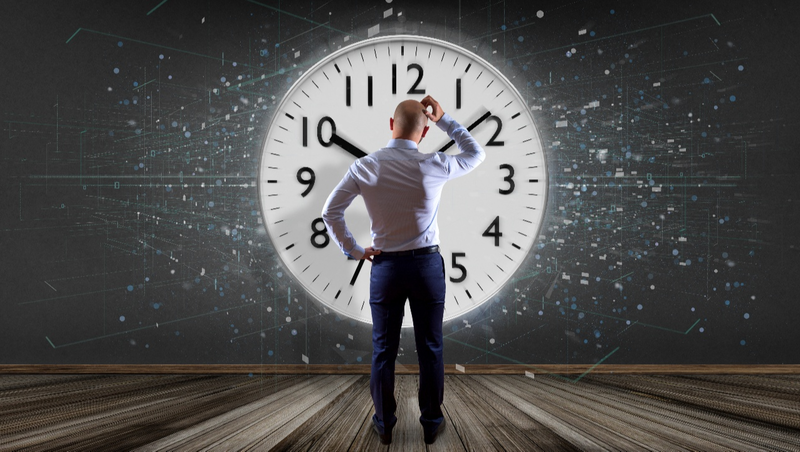 For facility managers, there are few aspects of routine maintenance that can be put on autopilot, but adjusting the clocks is one of those. Here, we'll calculate just how much time you have to spend making sure your clocks are on pace, time that you could get back with a synchronized clock system.